In December 2001 we bred "Gorsha" to CH Telltale Coral Rock, which produced "RB". 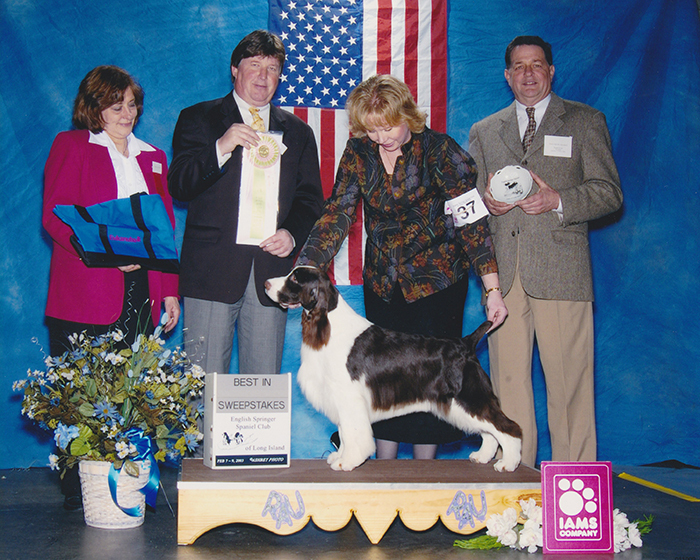 RB was Winners Dog at Eastern, BISS and Winners Dog at the Long Island specialty, and BISS and Winners Dog to finish at the Chicago Specialty under Barbara Alderman in February 2003. 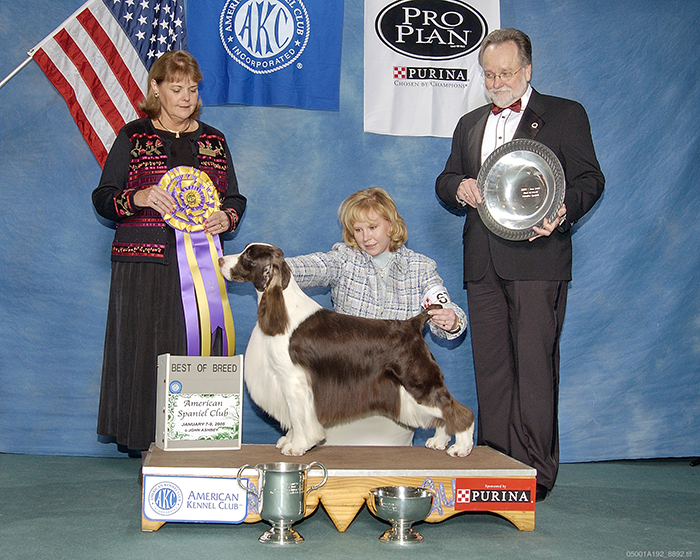 In 2005, he was the Number One Sporting Dog in the country. 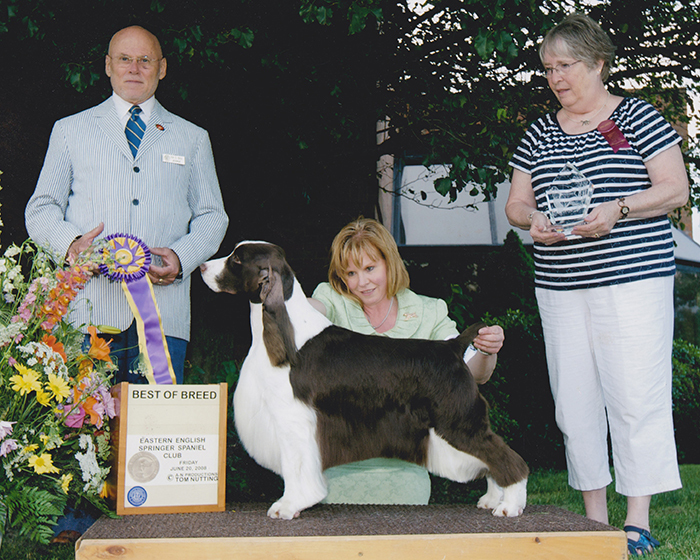 He has many group wins and over 43 Best in Show wins. In addition, he has numerous specialty wins, including the 2005 ESSFTA. In 2008, after two years in retirement, he won the prestigious Eastern specialty under Judge Mr. Ed Biven, thrilling the audience with his effortless movement and soundness. 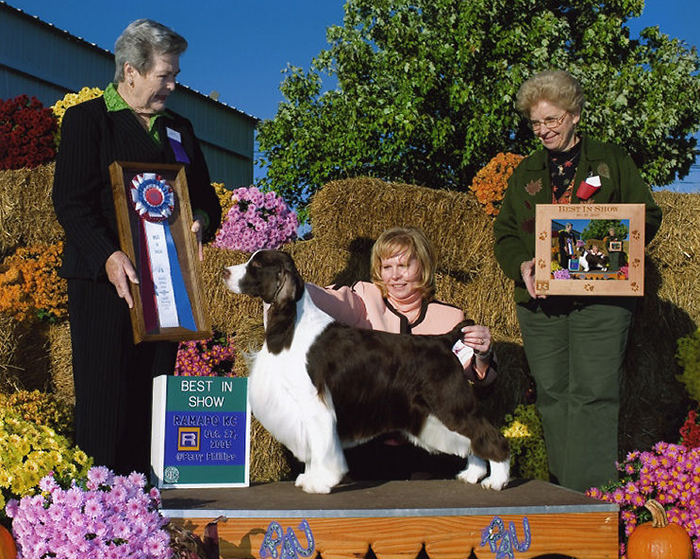 In his short career as a stud dog, he has sired over thirty champions. He was the ESSFTA 2008 Show Sire of the Year. He currently lives with his handler, Robin, enjoying life as her best friend and companion extraordinaire.